"We are proud to represent the World’s most innovative brands in responsible environmental products; Arbourdale stands behind everything we sell. Arbourdale is a national importer, manufacturer and distributor of Natural, Bio-Remediation products for: Water, Agriculture, Livestock, Golf & Home. For years in the irrigation industry we saw people using chemicals and poisons in attempt to control algae and weeds in distressed ponds. They didn’t work. At best they treated the symptom, no the root cause. At worst, they killed fish and poisoned the environment. We believed nature knew best and we set out to find a natural way to help distressed ponds and water bodies. 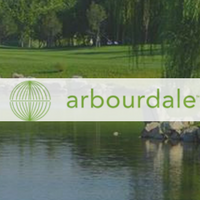 Arbourdale is now Canada’s largest distributor of non-chemical remediation products for home, water, agriculture and turf. Arbourdale Online Ordering uses the following LinkGreen products.